Keep an eye on your vehicles and manage risk by protecting financed assets. Vehicle health, location, and other key information is available right at your fingertips to help you manage at a glance. Monitor where your vehicles go, whether it’s a risky local area or simply returning to the lot. Configure up to 10 geozones per device, around specific addresses or locations, and get alerts when a vehicle enters or exits any geozone. Streamline your operations with important and insightful reports that run on your schedule—once a week, on a specific date each month or more. You can import reports into Excel (CSV) or easily export them as PDF. When you need to recover an asset, an easy to use repossession process automates locating the vehicle with your agents. Just send your agent a secure link to the vehicle location when they need to get the job done. Accidents happen, a lot. 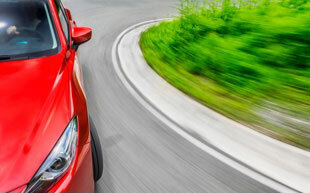 Instant alerts at the time of the crash help speed timely assistance to drivers while lowering risk of a loan default. Support your customer by proactively offering alternative transportation, repair or a replacement vehicle if needed. With three showrooms across Utah, Markosian Auto uses CalAmp Crashboxx™ to help deliver better customer service while also protecting their revenue stream when an unfortunate crash happens. They wanted to add the real-time alerting CrashBoxx capability to help strengthen their customer relationships and grow repeat business.